HALL OF FEMME. - Terry Peloton. You are here: Home / Pressroom / HALL OF FEMME. “Buying a bicycle with a Terry saddle and meeting Georgena Terry 22 years ago changed everything for me. I took one look at what she was doing (at a time when NOBODY was focused on making things for women) and knew I’d found a marketer’s dream. I’m lucky to have worked with a passionate team and committed partners who love what they do – this has been the ride of a lifetime.” So says Paula Dyba, Terry VP Marketing and Creative Director, who was honored by the Direct Marketing News 2016 Hall of Femme last month in New York City. 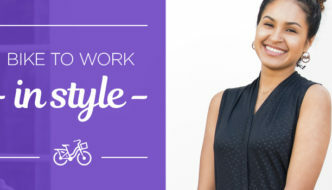 Marketing strategy: My approach is customer-centric…At Terry Bicycles, we’re totally focused on female cyclists, and we’ve built relationships with our customers who absolutely love us and evangelize for our products. At the beginning, we knew there was demand in the market, but the supply chain was stuck. 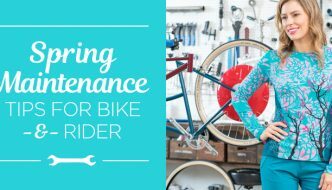 Bike shops just weren’t ready for a “woman’s section” 25 years ago. So, we invented our own marketing channel and went direct to the customer via catalog. It was an instant success and we’ve built the brand, customer by customer, ever since. 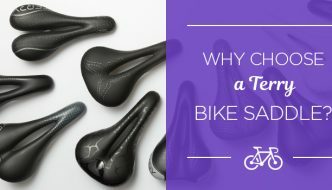 We put the customer experience ahead of everything we do, and have built a reputation for being the problem solvers for female cyclists. Defining moment: I bought a bicycle. It was at a time when I was working in New York for a big advertising agency pitching car accounts. In between pitches, I went into a bike shop in upstate New York, bought a bike, and the salesperson sold me a Terry saddle. I’d never heard of the company but turns out it was right down the road. I met the owner, Georgena Terry, and I asked her why I’d never heard of her company. She said she didn’t have a marketing person. I left advertising that moment. I felt like I’d found a marketer’s dream. Terry was the first women-specific bike company at a time when women-specific products were not around in cycling, nor really anywhere else. Shifting careers completely from agency to client, from multi-million dollar ad budgets to nearly zero, from cars to bicycles was a huge step and the defining moment for me as a marketer. Trend watching: For us as direct marketers, our customers’ move to mobile is something we’re not only watching, but also putting tons of time and energy into. It’s changing everything about the way we interact individually, as families, as marketers and as retail businesses. The challenges of presenting a brand in a completely new and super-small format, figuring out how to market in this new arena, and simplifying the buying process is only going to grow and require new tool and new ways of engaging with our customers. Marketing staff must-have: First, the ability to write well; second, creative enthusiasm/curiosity. One is pretty easy to evaluate and the other much harder. Both traits are critical in an innovative business environment where customer relationships, engagement and product development are necessities. Advice to young marketers: Find a product category that absorbs you. Find the best company in that category and get yourself in the door at whatever level you can. Or better yet, walk into your local bike shop and buy something…you never know where that might lead.